ZymeCLING is made to cling to the inside of drains and pipes so that it may continue working around the clock. ZymeCLING is FAST ACTING and extremely effective at breaking down and digesting organic material (proteins, starches and sugars) from hard to reach drains and areas where drain flies breed. ZymeCLING helps eliminate odors from drains and improve flow in slow drains. Safe for all types of plumbing and is non-pathogenic and non-caustic. DRAIN FLY TREATMENT: Add 2-4 oz. to each drain. Apply around edge of drain, attempting to coat sides of drain, twice a week. This will eliminate the food source and breeding areas for the drain flies. DRAINS MAINTENANCE: Add 2-4 oz. to each drain. Apply around edge of drain, attempting to coat sides of drain, twice a week. GARBAGE DISPOSALS: Apply 2-4 oz. to the outside edge of drain, attempting to coat sides of drain. URINALS & COMMODES: Squirt 2-4 oz. around the inside of the urinal and commode after cleaning. DRAINS: Squirt 2-4 oz. into the restroom drains once a week. ZymeCLING is currently available in quarts (Stock# 32 ZYMGEL / 6 per case) and gallons (Stock# 128 ZYMGEL / 4 per case ). TRAITEMENT DE FLY: Ajouter 2-4 oz à chaque drain. Appliquer autour du bord de fuite, en essayant de côtés de manteau de vidange, deux fois par semaine. Cela permettra d’éliminer la source de nourriture et les zones de reproduction pour les mouches de vidange. DRAINS ENTRETIEN: Ajouter 2-4 oz à chaque drain. Appliquer autour du bord de fuite, en essayant de côtés de manteau de vidange, deux fois par semaine. Cessions d’ordures: Appliquer 2-4 oz sur le bord extérieur de la fuite, en essayant de faces d’enveloppe de drain. SALLE DE REPOSPLATES & COMMODES: Squirt 2-4 oz autour de l’intérieur de l’urinoir et commode après le nettoyage. Drains: Squirt 2-4 oz. dans les toilettes drains une fois par semaine. ZymeCLING est faite pour accrocher à l’intérieur des drains et des tuyaux afin qu’il puisse continuer à travailler autour de l’horloge. ZymeCLING est ACTION RAPIDE et extrêmement efficace pour décomposer et digérer matières organiques (protéines, les amidons et les sucres) à partir du disque pour atteindre les drains et les zones où la fuite vole race. ZymeCLING aide à éliminer les odeurs de drains et d’améliorer l’écoulement dans les drains lents. Coffre-fort pour tous les types de plomberie et est non pathogène et non-caustique. Dissolve Grime, Grease, Food, and Soot in Ovens, Grills, Broilers, and Fryers. Oven & Grill Cleaner quickly and effectively dissolves grime, grease, food and soot in ovens, grills, broilers and fryers. 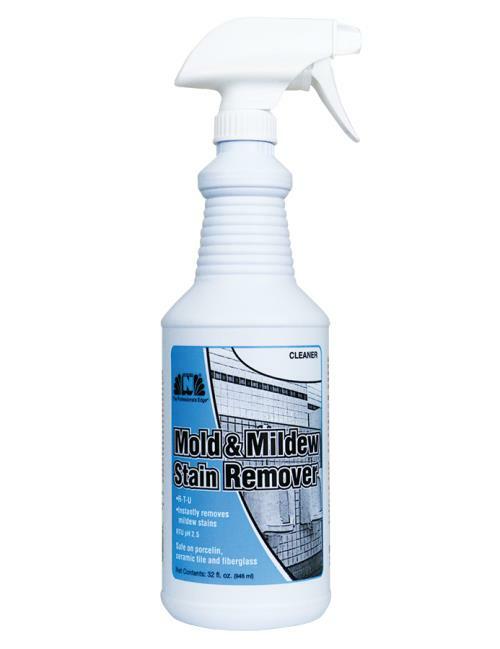 Penetrates soils rapidly for easy removal. Excellent cleaning of baked on food, animal fats and carbon. For industrial and commercial oven and grills. READ ENTIRE CONTAINER LABEL BEFORE USING THIS PRODUCT. NOTE: Wear chemical resistant gloves and goggles when using this product. Do not use on aluminum or other soft metals. Safe for use on stainless steel, chrome, porcelain and glass. FOR OVENS: For best results, heat oven to approximately 200° Fahrenheit and then turn it off. Spray or brush full strength solution onto the oven surfaces to be cleaned and allow them to soak for several minutes. Rinse each surface with potable water using a clean cloth or sponge. Using steel wool pads on stubborn areas if necessary. FOR GRILLS: Warm the grill to approximately 150° Fahrenheit. Spray or brush full strength solution on the grill surfaces that are to be cleaned, then agitate with a scraper or aggressive pad. Rinse with potable water using a sponge or cloth. FOR DEEP-FAT FRYERS: Drain all grease from the fryer and rinse it with hot water. Fill the fryer with water to within 4 inches from the top and add 4 to 6 ounces of cleaner for each gallon of water. Boil this solution for 15 to 20 minutes before draining and thoroughly rinsing with potable water. Wipe dry. Oven & Grill Cleaner is currently available in quarts (Stock# 32 OGC / 6 per case) and gallons (Stock# 128 OGC / 4 per case).